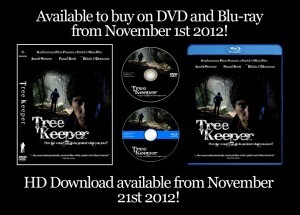 The independent Irish feature film ‘Tree Keeper’ will be released by Southernman Films on DVD and Blu-ray on the 1st of November 2012 and as a HD Download on November 21st. 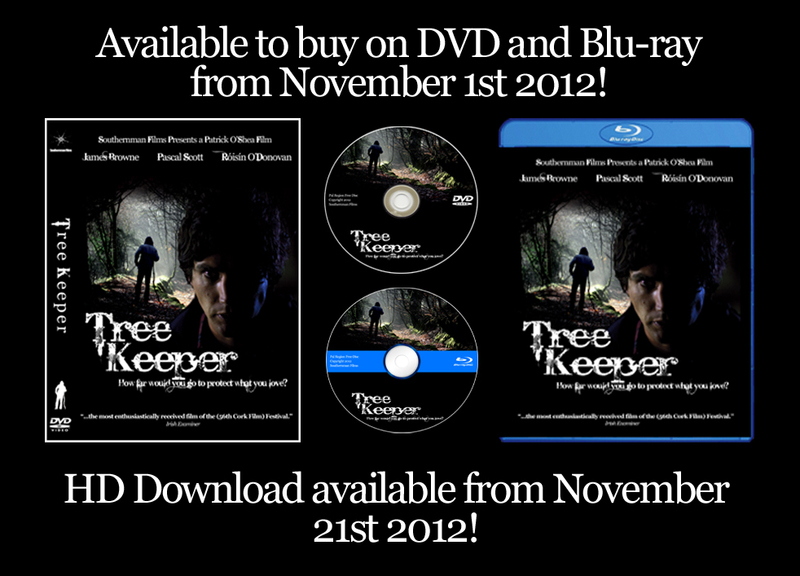 The DVD, Blu-ray and HD Download will be available to buy directly from the Tree Keeper website, www.treekeepermovie.com and the DVD will be for sale in Plug’d Records in the Triskel in Cork city centre. ‘Tree Keeper’ is the debut feature from writer/director Patrick O’Shea and stars James Browne (Strength and Honor, Ealú), Pascal Scott (Grabbers, Killinaskully) and Charlie Ruxton (Titanic: Blood & Steel, Into the West).